ISIS gangs have this morning attacked Iraqi and Syrian refugees and migrants heading to Rojava near the Rajim Salibi border gate. The attack was repelled as result of the intervention by Syrian Democratic Forces (SDF) fighters. 22 people were killed at the scene and many more were injured as result of the attack. 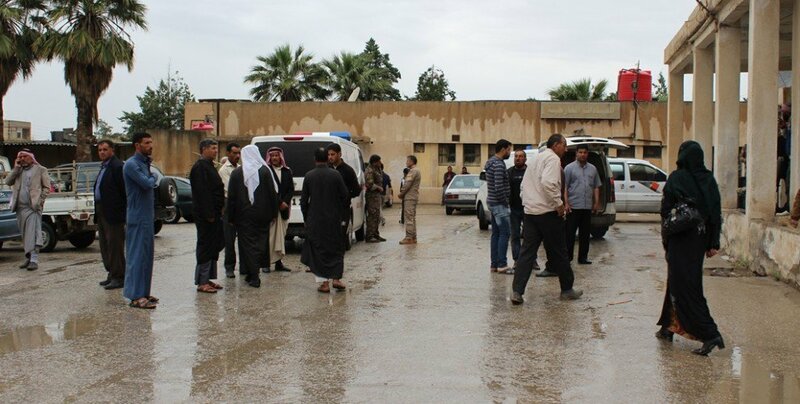 Dozens of wounded civilians were rushed to Hesekê Hospital by Heyva Sor, SDF fighters and Asayish members. 15 of these with critical injuries, mostly women and children, lost their lives at hospital. There are 20 injured refugees and migrants at the hospital, whose names are: Ebdula El-Xelef Hemed (25), Ayşa Mihemed (35), Yasir Salih Xidir (30), Beşdar Hesen (17), Mihemed Ebdurezaq (13), Delal Elawî Xidir (24), Mêrvet Yasir Xdir (3), Şeymai Xidir Xelef (30), Leyla Mehmûd (45), Mînas Xidir Wawî (15), Emar Mehemed El-Hac (18), Nûra Ehemed El-Xidir (15), Umer Elî El-Şiyûx (33), Beşar Ebdurezaq El-Şêx (11), Ebdela Ehemed Xidir, Leyla Mehmûd, Delal Elawaî Xidir (24), Receb Elî Casim, Derek Ebd El-Elî, Salih Şihade Mele Elî. Bodies of the slain civilians, who include a 3-month old baby by the name of Mintezir Ishaq Xidir, are held at the hospital.